Mother's Day is coming soon. 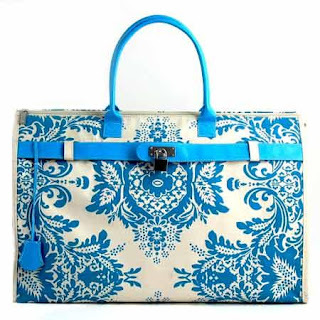 Wouldn't this travel tote be a cute gift for the mom or mother-in-law in your life? It's stylish, roomy and such a deal at $24! Throw in a novel and a cute water bottle and someone will be ready to go for the summer travel season. I love that bag, it's darling. I love it, too. That shade of blue is gorgeous!